He says time and again, it has been shown that it is essential to pre-qualify for a bond before you start looking for a home. 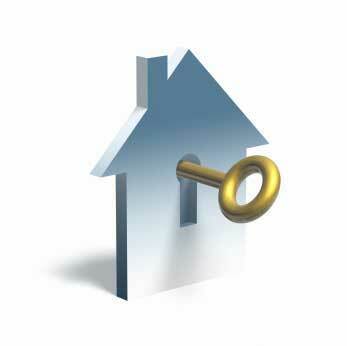 For this reason, he says, many estate agents insist that applicants are pre-qualified before they start home viewings. He says a good bond originator will get a 95 to 100 percent acceptance rate on his bond applications, and on average, his division will achieve 10 to 15 or more successful applications each month. This is because the client’s financial and credit position has been thoroughly investigated at the outset and if necessary, been rectified, with the result that the application conforms exactly to what the banks expect. If the client has a blemished credit record, this too, can often be rectified, although the process is likely to delay the application by six months. To achieve a good hit rate, Van Alphen says, it is essential to assemble all the documentation at the outset. The file should almost certainly include pay slips and bank statements over a three to six month period, as well as certain other vital information. If the applicant is self-employed and trading as a CC or a company, it is essential that he pays himself a monthly salary and keeps a record of this for six months. The salary deposits would need to reflect in the applicant’s bank account and if he has not done this in the past, he should delay his application by half a year and start doing it as soon as possible. Sometimes, Van Alphen says, an applicant will go straight to the bank with his application, which will be accepted by the first rung staff, quite possibly with minimum documentation attached. Subsequently, the applicant may find that the credit investigators at a higher level at the bank want additional information and then are quite likely to reject the request. He says hopes are then dashed and the applicant goes away disappointed. He says one reason for this is that the applicant may be dealing with an expert banking consultant able to advise on a wide range of banking investment subjects, but possibly not completely familiar with the bank’s bond award criteria. By way of contrast, he says bond originators are focused on this one field and are experts in it. Van Alphen says whatever route the applicant takes he should not be discouraged if at first his application is rejected. He says this is often the result of the application being incorrectly put together and this does happen when the person assisting the client, whether at the bank or elsewhere, is not yet an expert in this subject.